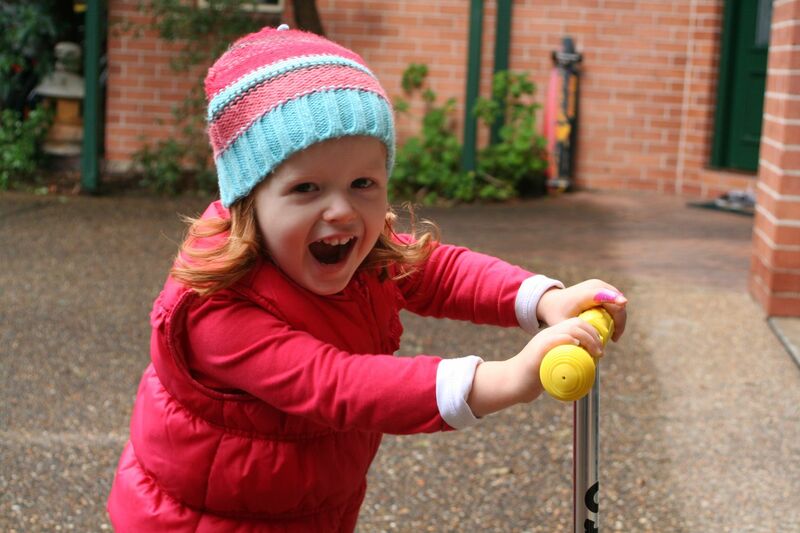 It’s hard to look cool and relaxed as your two year old daughter plants her foot to the ground, pushing her scooter even faster down the slope while you struggle to recover from tripping on the footpath as you sprint to catch up with her. Harder still to look like you’re not panicking as your now faster daughter develops the death wobbles and starts to veer towards the wet, grassy verge. While she cackles with glee yelling “wobbly daddy, wobbly” my wife’s expression flashes through my mind as I imagine taking my daughter back home with a scooter handle through her spleen and blood pouring from her head. I was one of those soon-to-be fathers that had a pretty clear idea about the Dad I was going to be. I wasn’t going to drive a people mover, I wasn’t going pile on sympathy weight and I wasn’t going to become one of those nervous, helicopter parents that were scared to let their kids fall over. The pre-child me would have “let her learn the lesson” so I had to ask why am I jogging alongside my daughter clutching desperately at the hood of her jacket to slow her down and steer her around more cracks and certain disaster. When my daughter was first born I took great pride in walking around carrying her in one hand, of confidently bundling her up and not worrying if she got bumped, startled or upset. This lasted a week or two until we realised that she was a rubbish sleeper waking up from the merest pin dropping, that anything she drank would perform a u-turn and be deposited on furniture, clothes and us thanks to reflux and that what she did keep down probably contributed to the wind that she suffered keeping her up between 11pm and 5am every night of her first 2 months. Based on my quick polling, this isn’t an unusual story and true to form of many parents, from our relaxed intentions we quickly turned into anxious, sleepless wrecks who refused to walk passed her room for fear of waking her, tried every formula from every animal imaginable and every remedy under the sun for wind (which supposedly dosen’t exist). And like the vast majority of parents we never fixed it. Instead, we spent time, effort and emotion trying to fix everything whilst our daughter just simply grew out of it all and flourished. So since birth there’s been a tension between the uber-chilled out dad that I imagined I’d be and the man trying to protect my daughter from anything that could go wrong. I don’t think I’m a neurotic parent. I’ve let her learn her own lessons (eg; dropped her, let her trip, let her fall from the climbing gym) but what I’ve realised is that for some some reason (I’m blaming genetics and/or the desire to get my deposit back when she’s eighteen) I just don’t want her to suffer. So, did she fall? No? Will she? probably and with her desire for speed and danger it’s probably going to hurt. I suppose the trick for me is to figure out how much to let it hurt her. This entry was posted in Being a Dad, fatherhood and tagged Child, Fathers, Helicopter parent, helicopter parents, Home, Parent, Recreation. Bookmark the permalink. There’s a freakomonics podcast about parenting that came to mind when I read this post – you should look it up! It’s all about the parents we think we’d like to be and how in the end, we actually have bugger all impact on the adults our children turn out to be! Oh brilliant post. And I totally relate as my little one is a bit of a dare devil. Its hard to find the balence between letting her do her own thing and explore and stepping in when she’s about to do something dangerous. Those scooters can really take your breath away. I have found that just closing my eyes and not watching is the easiest way to remove some of the fear, of course this doesn’t exactly stop them from the injury. It’s hard isn’t it? I have teens now, but I still have a voice in my head that screams “Noooooooooo-oooooooooooooooooooo” occasionally! Great post…could relate to the whole colic/reflux/sleepless thing! And so very true – whilst we want to let them go, we also want to fiercely protect them and the key is to find the balance. 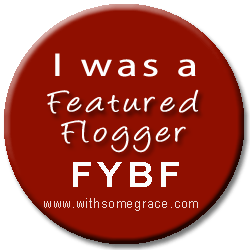 Glad I stumbled across your blog (via FYBF)! I think I was a helicopter parent but it was inevitable having twin tornados! Just try to keep her out of the ER and you’ll be doing your job. Sounds like your doing just fine! It’s a good approach – I just need to communicate it in simple, Peppa pig terms! Perhaps my husband could hover a little more. Last time he took the 4 yo bike riding, she came home with a busted lip and forehead because he let her take on a hill, with no helmet. That is such a sweet post! I have to say I was always a laid back parent… until the Big C… but I digress. Perhaps our younger children have it easy now… as I’m too busy wondering if the eldest is okay! LOL! Good luck with finding that happy medium! I really like this post! Its so hard to balance everything I think!! ooooo, this is so me. I’m a really bad helicopter mamma. Don’t do this, don’t do that, you’ll chop this, break that, crack your head, hurt your back yadda yadda yadda. As you said, it’s the fear of them suffering that kills me. They are the most precious and treasured people in my world, of course I don’t want them to hurt. But that’s not reality. In Life, we get hurt. We can’t protect them forever. And if they are to learn from their hurt and pain, at least they’ll have a loving mamma they can run to for a cuddle. You are very right. Maybe our our job is to pick them up and the give them a cuddle when they make the mistakes rather than stop them from making them. From a self confessed helicopter parent (my husband likes to cry out ‘Black Hawk down! Black Hawk down!’ when he sees me panic and rush to the aid of one kids) this post is music to my hears. It’s not just me! That’s the best comment I’ve had yet!! Thanks for coming past and checking the post out. I can see me developing into a helicopter parent. My 16 month old is such a dare devil and an explorer. Thanks for the great post! For us, 16 months was when she had limited walking skill but maximum speed and motivation – quite an exciting combination. Hahaha I loved this for a few reasons – 1. My 2yr old was THAT baby, the reflux, wind, and insomnia suffering baby. While you’re living it, it’s hell, but afterwards it’s good for a laugh, right? 2. I lived your scooter scenario on Sunday, but sadly didn’t catch my 4yr old when he fell off his bike at the corner, and he suffered his first gonads injury. 3. The reason I didn’t catch hi, is because since number 3 came along, I have been the chilled out parent, I only have 2 hands after all! Hi there, thanks for popping by and for the great feedback. Glad I could give you a laugh. So true isn’t it. Just another thing to add to the list of things I said I’d never do as a parent……before I became one! Hehe. It is such a fine balance between letting them learn and jumping in to save them. Thanks for sharing with us at Melting Moments. You’re right about the balance thing. We just need to trust that we are getting the balance right.